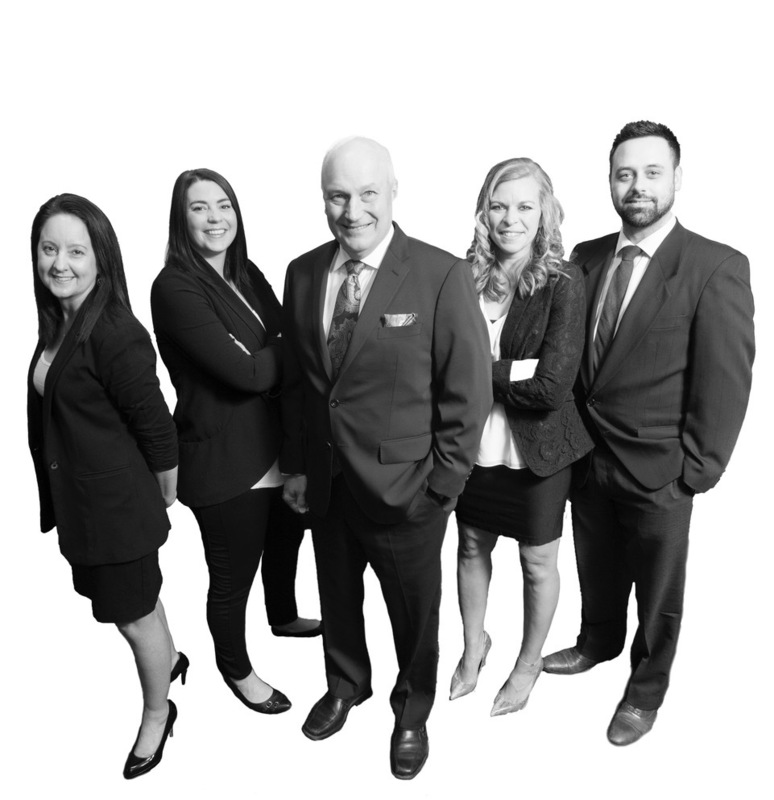 The Escarpment Advisory Team includes some very experienced members, boasting more than 100 YEARS of combined experience in financial services. Howie Vant alone accounts for nearly half of the impressive total, and Amy Skiba, Jason Aucoin, Wendy Gregory, and Shelly Gouchie come together nicely to take credit for the balance. Our team specializes in helping you and your family to get ready. Get ready for retirement, get ready for a big purchase (which could be a great new house or that bucket-list trip around the world …! ), get ready to help save for your kids or your grandkids, and get ready for your very best life. All of these great things start and end with getting the BEST advice – and that's what we do! We are dedicated to looking after you and your family the best way we know how, which is to get to know you – and what you need from us to feel good about the plan we will build especially for you. We listen, so we hear you. 1. 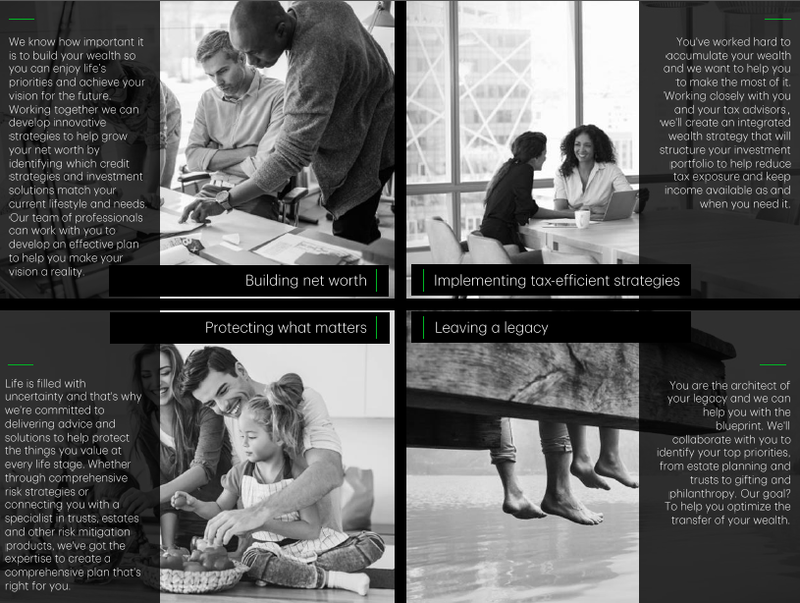 Expert investment decisions to fit your goals. 2. Making decisions with taxes in mind. 4. Looking after your next generation, and your beneficiaries. Our goal is to help you reach yours, and then enjoy it! Our investment process based on particular input from each client - which starts with YOU. We believe in composing a customized investment plan, complete with current and future cash flow requirements, as well as a financial needs analysis. In order to help gain a clear understanding of your requirements, we believe in always maintaining open a and honest communication with all our clients. The passion that we feel as a team for managing investments and relationships and providing top-notch client service spills over into every relationship that we create - and we look forward to creating a long-term, meaningful relationship with you. 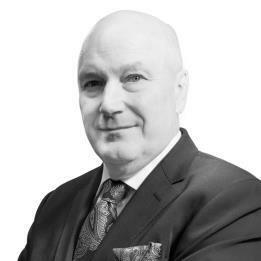 Howie’s experience includes over 35 years of banking, finance, and investment practice with TD Bank Group, and, in our opinion, makes him an exceptional choice for clients seeking professional portfolio advice. He has obtained his Masters of Business, Financial Services from Dalhousie University on Canada’s beautiful east coast. Howie prides himself in bringing clients alternative, customized solutions, encompassing wealth management, estate planning strategies, insurance strategies, and preparing for retirement. 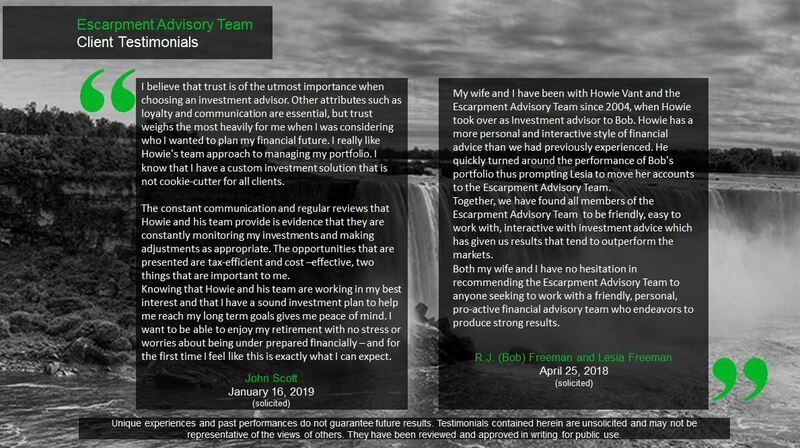 Howie and his team believe in structuring investment portfolios to meet the specific needs of his clients, based on their individual risk tolerance and investment objectives. His personal standards for outstanding service are uncompromising, and he believes strongly in consistently creating a positive client experience within each and every relationship. 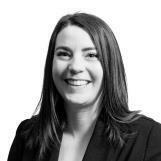 Amy has over 15 years of experience in the financial services industry behind her, and joined TD Wealth in 2008. She has graduated from Brock University with an honours degree in business administration, and has been inducted into Beta Gamma Sigma, an international honour society that represents the highest mark of distinction that can be presented to business students in the world. Although he was born and raised in Beamsville, Jason's family is originally from picturesque Cape Breton Island in Nova Scotia, with its stunning landscapes and delicious seafood! 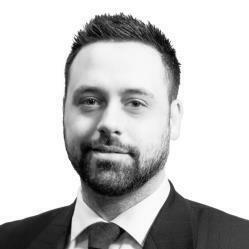 Jason returns there frequently to visit his relatives, and he tries to bring the tremendous kindness and consideration of Canada's East Coast to every one of his client relationships. Jason chose to attend Brock University in St. Catharines to pursue and complete his post-secondary education. Following this, he completed his securities licensing, and he is currently in the midst of completing the final requirements in order to earn the Chartered Investment Manager CIM® designation. Jason started at TD in 2014, and joined the Escarpment Advisory Team in 2018. One of Jason's favorite professional activities is to listen to clients tell their own individual stories, so that he can be well-versed in their unique goals and virtues to help them plan for their futures. He is dedicated to assisting families throughout the many different stages in their lives - from planning for home ownership to preparing for retirement, and eventually the passing of their wealth to the next generation. Throughout his life, Jason has always had two core passions – hockey and music. Fortunately, these two interests have come together and led him to support a cause very close to his heart – a program called 'Stix N'Pix' in rural Ontario. Being involved in this two-pronged program for the last few years, Jason has helped provide first-time exposure to both children that have not had an opportunity to play hockey, or children that have never before played a musical instrument. Jason himself has been playing competitive hockey since he was just a tyke. He most notably played Junior A hockey for Streetsville Derbies, and then subsequently played for both the St. Catharines Falcons, and the Thorold Blackhawks. During his hockey tenure, he held the record for the youngest-ever Assistant Captain in Canada, being named to the role at just 16 years old. 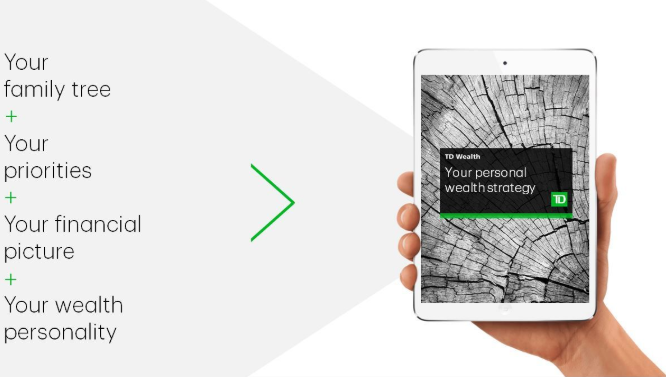 Rebecca has gained experience in financial services for the last five years, coming to TD Wealth after working with another investment dealer prior to joining the firm. She originally began her career in client services with a large health insurance company, handling marketing and assisting plan members, in addition to supporting the CEO's office as an assistant. Rebecca graduated from Canisius College in Buffalo, New York with a Bachelor of Science degree, dual-majoring in both marketing and entrepreneurship. Rebecca is dedicated to providing exceptional customer service through efficiency, careful organization, and effective communication. 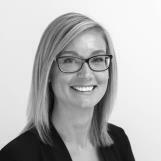 She is very passionate about her work and prides herself in providing outstanding experiences to each and every client of the Escarpment Advisory Team. Rebecca believes in not only taking ownership of any client issues, but solving them with kindness and conviction, and always in a timely manner. Shelly was born in the chilly-but-charming city of Elliot Lake, Ontario, before her family moved to the small town of Stroud, which is nestled just a stone's throw from Lake Simcoe. She spent her childhood climbing big trees and running in the soft grass with her three siblings, and learned to throw her first rocks at the Stroud Curling Club. Shelly found her love for running at a very young age, beginning her running career at the age of 8 - and continuing to run competitively into her teens. Shelly actively participated on all the school sports she could, being awarded team captain on her basketball team and holding the speedy anchor position on her relay team. Participating on these teams helped to teach Shelly the importance of collaboration and communication at a young age, and these skills have seamlessly carried through to her professional career. Shelly is the mother of two beautiful children, and has developed a recent passion to capture their sweet smiles and endearing behaviour with the help of her camera. These seeds of initial enthusiasm have since taken root, and although Shelly started taking fantastic photographs of family members and her friends, she is now a very sought-after photographer for many occasions! Shelly has a knack for showcasing the most wonderful candid expressions with her subjects (a tough task), and she loves working with families to show their personalities and playfulness in a mantle-worthy freeze-frame. Through her warm personality and natural ability to exude a comfortable environment, Shelly is truly gifted in her craft, and tends to bring out the best in all those that work with her. While at Georgian College, Shelly achieved Dean's Honor List, and completed her diploma in Health Sciences. Once she graduated, Shelly started her career at TD Canada Trust, and spent four years perfecting her client service skills before making the jump to TD Wealth in 2012. In Shelly's mind, clients and their needs always come first and she continually does all she can to deliver outstanding service to everyone that crosses her path! 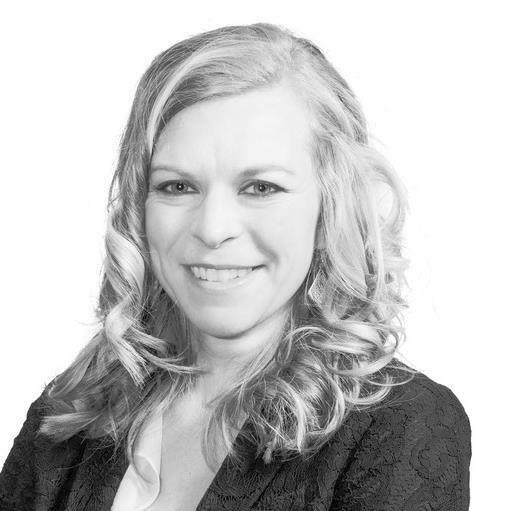 Shelly brings her positive outlook, kindness, and expertise to the Escarpment Advisory Team and endeavours to tackle any issue with vigor and a quick turnaround time.